Jail Bird is a photograph by Donna Kennedy which was uploaded on July 25th, 2016. 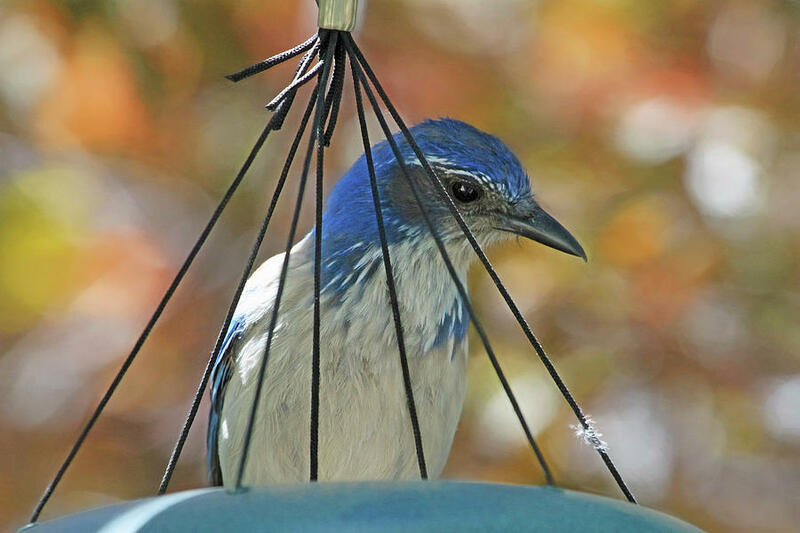 The Blue Jay of dry Western lowlands, the Western Scrub-Jay (Aphelocoma californica) combines deep azure blue with dusty gray-brown and white. 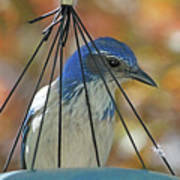 The rounded, crestless head immediately sets it apart from Blue Jays and Stellers Jays. These birds are a fixture of dry shrublands, oak woodlands, and pinyon pine-juniper forests, as well as conspicuous visitors to backyards. Assertive, vocal, and inquisitive. You will often notice scrub-jays silhouetted high in trees, on wires, or on posts where they act as lookouts. In flight seems underpowered and slow, with bouts of fluttering alternating with glides. What a beautiful capture of innocence and beauty! 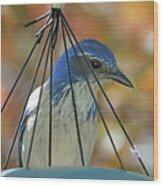 Congratulations Donna, your work is Featured in "A Birding Group - Wings"!